We know that RV breakdowns and accidents are unplanned, an unwelcome disruption to your schedule, and an unwanted expense, especially if you have allocated your travel dollars to fun. 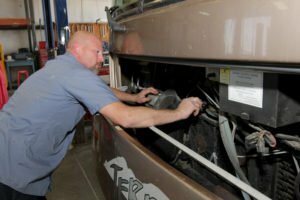 Our RV repair shop in St. Charles provides expert repair services to all RV makes and models and honors all warranties. 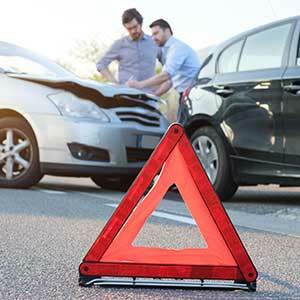 We can handle any repair request from minor scratches to major collision damage and are prepared to fix any problem from the mechanical inner workings to the paint. Our bumper-to-bumper service takes care of your RV from the inside out. Our computer diagnostic equipment accurately identifies problems so we can offer solutions. It is our goal to get you back on the road quickly. If your RV has sustained damage, we work directly with all insurance companies and streamline the collision repair process to minimize the disruption to your schedule. We take care of submitting paperwork and work with your insurance company to make sure your RV’s repairs are completed quickly, within budget, and to your satisfaction. This is our promise to you. We know that accident bills can strain budgets. Check out our RV repair pricing and see how we compare! We are confident that you will be happy with our prices and that our personal service and superior customer care will exceed your expectations. We eliminate the guesswork. 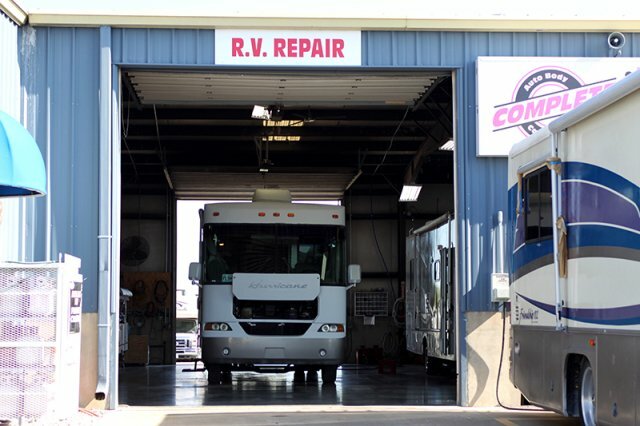 Trust your RV’s repairs to the certified experts at Complete Car & RV Repair and know that the job will be done right. We don’t cut corners and don’t recommend any unnecessary repairs or service. Your best interests are our top priority. Passing through the St. Charles and St. Louis area? Don’t worry! 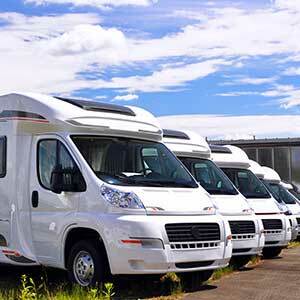 Complete Car & RV is conveniently located in St. Charles near major highways. If you’re experiencing RV problems, let us check them out so you can continue your journey, worry free! We also offer towing services.